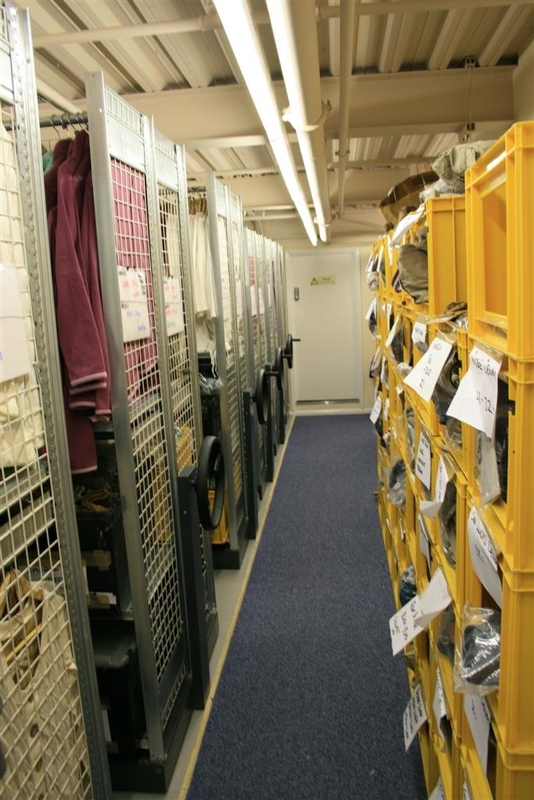 Dexion Mobile Shelving is commonly used to cut down the floor space of archive shelving areas, by removing wasteful gangways and getting more bays of shelving into a smaller footprint. All Dexion Shelving systems can be mounted on Dexion Compactus Mobile Bases and any existing shelving can also be mounted on to mobile bases. 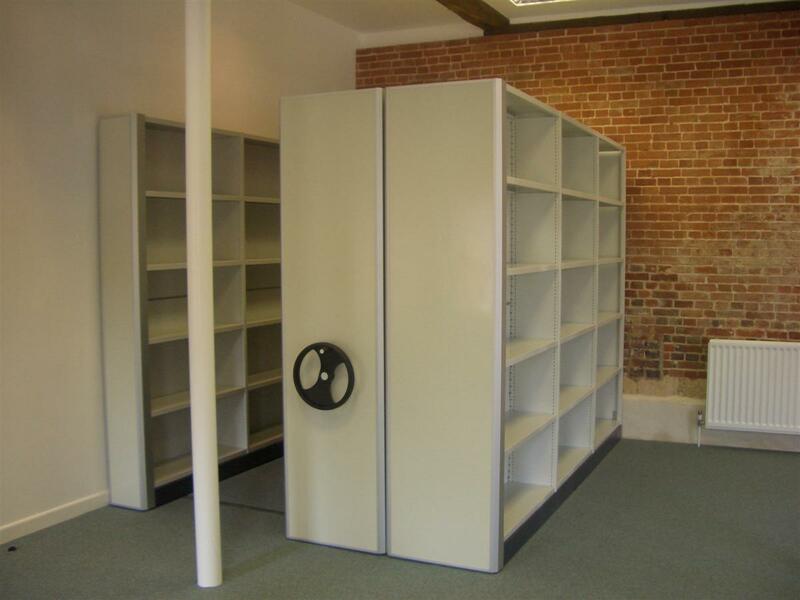 Mobile Shelving here used in office areas a low-profile base is used which goes straight onto a flat carpeted area, with a chipboard infill with either vinyl or carpet finish, which hides the tracks and reduces trip hazards. 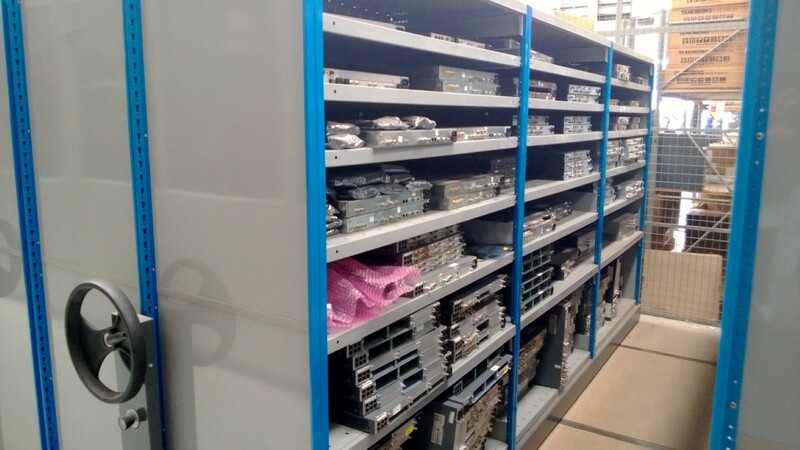 Where mobile shelving is used in an archive store such as document storage or medical records, the usually much longer tracks can be fixed to the concrete slab and leveled to ensure the bases are mounted on a level surface. Chipboard infill panels and entry ramps are fitted to reduce trip hazards. 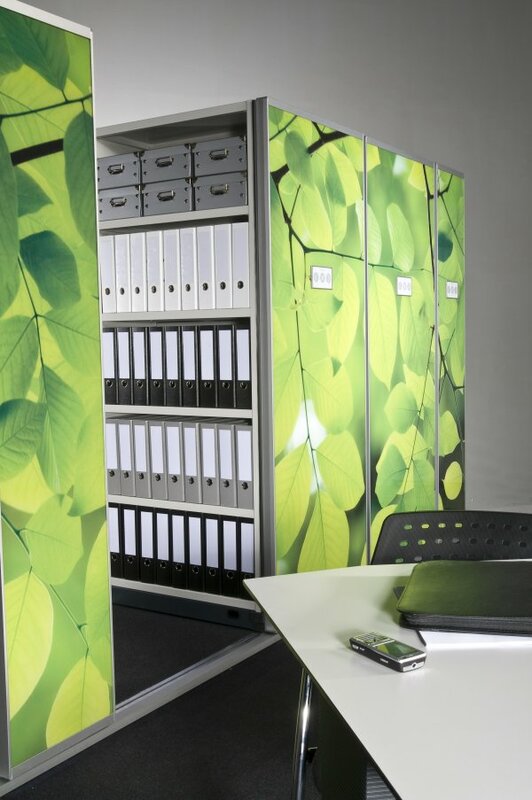 Dexion Compactus Archive supports all standard methods of filing and organising, and can be fitted with a variety of accessories. 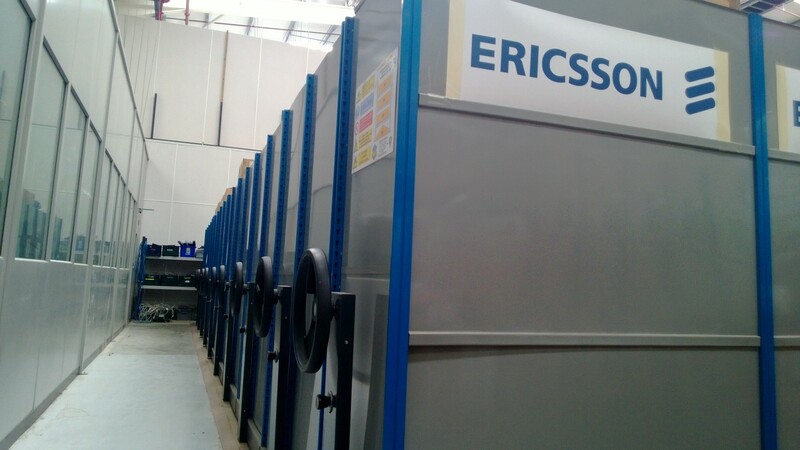 To access stored information, the mobiles can be moved effortlessly using the hand wheel, and, if desired, can also be locked for extra protection. If the archive is used frequently you can also choose the ergonomic computer-controlled drive option. 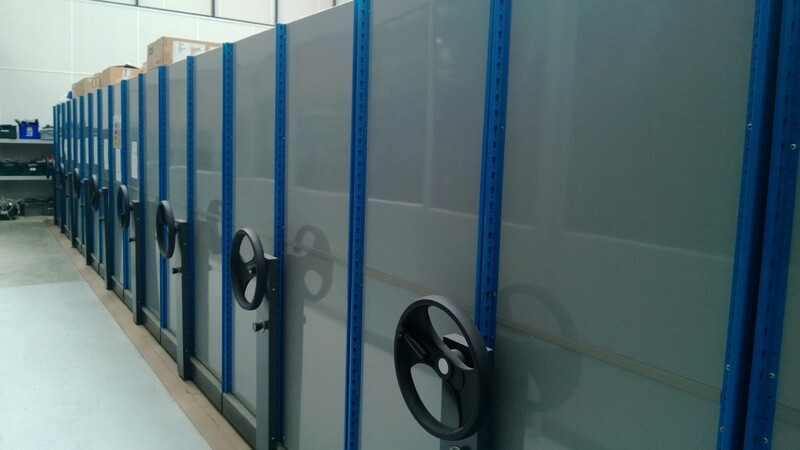 To find out more information on Mobile Shelving, please contact us.